Practice 4 days of yoga, hiking & outdoor fitness training (all levels welcome), plus a workshop around nutrition and a 60 mins treatment / massage of your choice included. 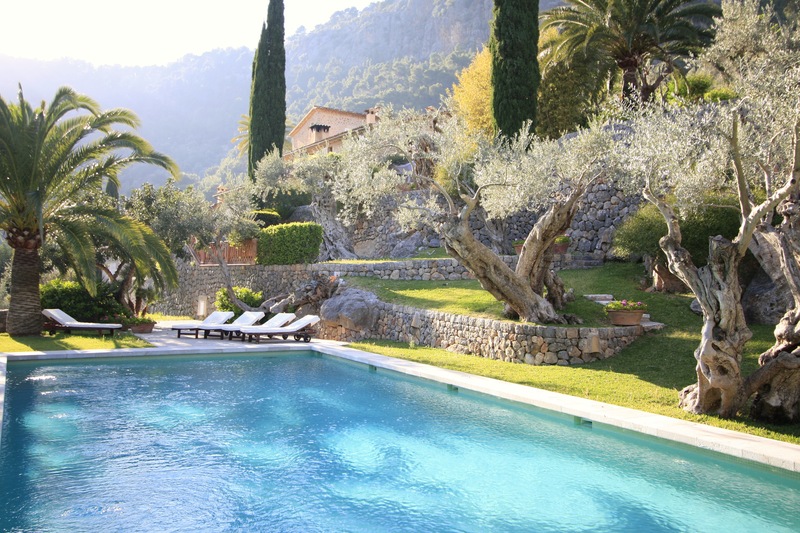 Very often guests on our yoga retreats wish they could introduce their families to the beautiful Soller Valley and the magic they experience during their stay at Finca Son Salas. This retreat is designed exactly for that purpose. Allowing parents to enjoy two yoga sessions a day while the children enjoy tennis with a professional tennis coach, a gardening lesson while they pick fruits in the garden, or a fun treasure hunt. We will of course also offer a family yoga session. Our 3 night holistic yoga and healthy living retreat combines yoga practice twice a day, a beautiful hike, a 60 mins massage for each guest, and a cooking class by chef Francesco Colucci. Join us for a beautiful holistic 4 day journey, to reconnect with one self and prepare for a peaceful yet vibrant autumn. Yoga, hiking, inner work and nutrition workshops. We’ll offer you an unforgettable wellness experience in a breathtaking environment far away from everyday stress and obligations. We are thrilled to put together a bespoke yoga holiday experience for you. Be it for a family, group of friends, or a corporate event, our tailor made retreats are curated to meet our clients’ needs. Practice 4 days of yoga, hiking & outdoor fitness training (all levels welcome), plus a life coach session and a 60 mins treatment / massage of your choice included. Find stillness and stretch during yoga, go on beautiful hikes, break a sweat as you push yourself to your gentle maximum during fitness training, benefit your personal development from a life-coach session that will guide you towards achieving your goals, and relax during a wellness treatment of your choice. Our 3 night holistic yoga and healthy living retreat combines yoga practice twice a day, a beautiful hike, a 50 mins massage for each guest, and a nutrition workshop to give participants a better understanding of their physical and mental health, and how nutrition can improve overall wellbeing. Practice 3 days of yoga, hiking and outdoors fitness training, with the option of doing EITHER two one-on-one life coach sessions or two 60 mins treatments / massages. Go on beautiful hikes, stretch during yoga, break a sweat as you push yourself to your gentle maximum, benefit from one-on-one sessions with a life-coach that will guide you on how to achieve your goals. Practice 5 days of yoga, while nourishing your body with delicious nutritious meals. Taking place around the Spring equinox, the retreat will focus on letting go and learning -directly from nature- the beauty of blooming, rebirth and starting anew. The Spring equinox is, after a long winter in the Northern Hemisphere, a time where the energies of new birth and creativity are at their highest. A sublime, illuminating reminder that light is returning, and always does. Our 3 day holistic yoga and healthy living retreat combines yoga practice twice a day, beautiful hikes, and a series of workshops by nutritional therapist Suzanne Garaty to give participants a better understanding of their physical and mental health, and how nutrition can improve overall wellbeing. Peace and quiet for the mind, new energy for the body. Kickstart 2018 with rejuvenating and invigorating yoga. Take in breathtaking peaceful surroundings as you reconnect with nature, and enjoy healthy nutritious food for your mind, body and soul. You will leave us nurtured, nourished and energised, ready to take on the new year.